Italy's new, right-wing anti-immigrant interior minister Matteo Salvini has drawn Tunisian anger over comments he made about migrants. 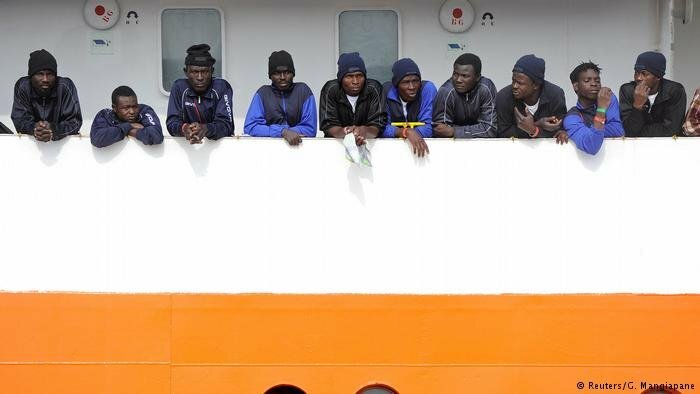 More Tunisian migrants have reached Italy this year than from any other country. Tunisia's Foreign Ministry on Monday expressed "great surprise" over comments made by Salvini the day before. Known for his xenophobic comments during the election campaign, Salvini's words carry more weight now he is both interior minister and a deputy prime minister. Salvini said during a local election rally for his League party in Sicily on Sunday that the African country "isn't exporting gentlemen, it seems more often they're exporting convicts." His comments came as at least 48 migrants were reported to have died over the weekend when their boat sank off the Tunisian coast. 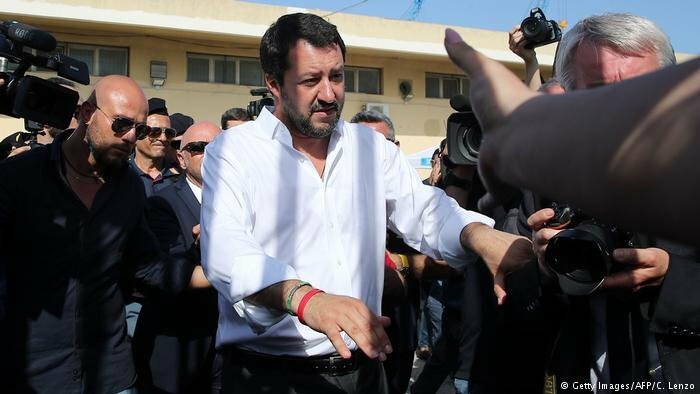 Summoning the Italian ambassador on Monday to discuss Salvini's comments, the Tunisian ministry said they showed a "lack of understanding" for the cooperation agreements between the two countries to prevent illegal immigration. While Tunisia has largely stopped human-smuggling operations, the 2,889 Tunisian migrants who have reached Italy this year represent a higher figure than for any other country. Speaking in Sicily on Monday, Salvini said Italy cannot afford to help the hundreds of thousands of migrants who have arrived from Africa and the Middle East in recent years. In accepting low pay, the migrants worsen the working conditions of Italians, Salvini claimed. The League party says the vast majority of migrants arriving since 2014 have no right to refugee status. Italy "can't be transformed into a refugee camp," Salvini said in a radio interview. He added that he would lobby Italy's partners to obtain more EU assistance: "Either Europe gives us a hand in making our country secure, or we will choose other methods," he wrote on Twitter. An opinion poll by the Ipsos agency published on Saturday in the Italian daily newspaper Corriere della Sera showed support for the League had risen to 28.5 percent from 17 percent at the March 4 election. The League's coalition partner, the populist 5-Star Movement, has seen its support slip since it took 32.7 percent at the election. Its lead over the League is just 1.6 points.